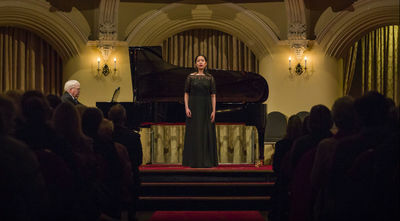 The Melbourne International Festival of Lieder and Art Song at the Melbourne Conservatorium of Music aims to nurture future performers of Lieder and art song under the guidance of internationally renowned artists. 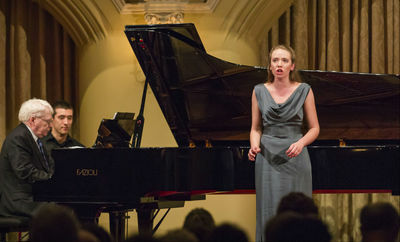 In a week-long series of masterclasses and concerts, young singers and pianists will be inspired to achieve the highest standards of excellence by specialists universally acknowledged for their contributions to the artform. Patron and principal tutor, Dr Graham Johnson, will lead the way in forming the next generation of singers and pianists, brought together by a shared passion for collaboration and a deep love of song. The 2018 program will be announced soon. 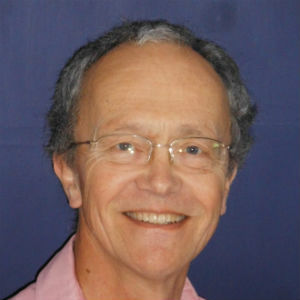 Dr Stephen Varcoe is known around the world for his work in concerts and recordings. He has appeared with many leading orchestras in the UK, Europe, Japan and North America. 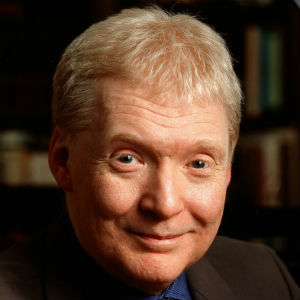 Stephen is also known for his recitals of poetry and song in a wide range of themes and styles. Stephen’s voice features on about 150 CDs of works by the Baroque masters; by Mozart, Haydn and Beethoven; by later British composers such as Gurney, Finzi, Britten, Osborne, Musgrave and Tavener; and on the Chandos complete works of Percy Grainger. With Graham Johnson and Hyperion Records he has recorded several recital discs by Hahn, Chabrier, Fauré and Schubert. He completed a PhD at the University of York in 2009, and he writes and lectures on various aspects of singing, especially English song. He teaches at the Royal College of Music. British-born Patricia Price has studied and worked with many of the world’s greatest singers and conductors. For three years Patricia was a full-time member of the BBC Singers, a group of 28 singers who performed and recorded music across all styles. Patricia’s European operatic debut came with the title role of Rossini’s Tancredi in France, with a subsequent recording that was the world premiere recording of this opera. The offer of a contract in Mannheim, Germany, followed and then her debuts with Glyndebourne, Welsh National Opera Scottish Opera, Netherlands Opera and, from 1983 up until her retirement in 1989, as a principal singer for the Australian Opera. 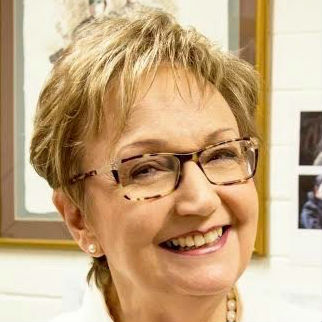 Patricia then began directing her energies towards creating possibilities for the next generation of opera stars, with key academic roles at the University of Sydney’s National Voice Centre, and most recently as the Head of Vocal Studies and Opera at the Western Academy of Performing Arts. As of 2018, Patricia Price will join the casual vocal staff of the Melbourne Conservatorium of Music. Dr Graham Johnson and Stephen Varcoe: two of the greatest names in the history of art song performance on the international stage. This is your opportunity to find out more about the men behind the names. What drew them to this art form? What keeps their passion alive? And what do they believe is the future of art song, not just in Australia, but world-wide? This event will launch the Melbourne International Festival of Lieder and Art Song in a relaxed and informal way, within the walls of Parkville’s beautiful Melba Hall. Recognised as one of the world’s leading vocal accompanists, Graham Johnson has worked alongside a veritable who’s who of distinguished singers, including Sir Thomas Allen, Victoria de los Angeles, Elly Ameling, Arleen Auger, Ian Bostridge, Brigitte Fassbaender, Matthias Goerne, Thomas Hampson, Simon Keenlyside, Dame Margaret Price, Peter Schreier, Dame Elisabeth Schwarzkopf, Anthony Rolfe Johnson, Dame Felicity Lott, Ann Murray DBE, Sarah Walker CBE and Dame Janet Baker. He has been a mentor and coach to many pre-professional singers and pianists in his role as Senior Professor of Accompaniment at the Guildhall School of Music, and as a guest artist at the Vancouver International Song Institute and Songfest Los Angeles. Now Graham Johnson comes to Melbourne to share his expertise with aspiring young Australian art song performers in a series of daily masterclasses. You too can share in this experience, and support young artists of the future, observing them in action in the beautiful surrounds of Melba Hall. Stephen Varcoe is known around the world for his work in concerts and recordings. He has appeared with many leading orchestras in the UK, Europe, Japan and North America. Stephen is also known for his recitals of poetry and song in a wide range of themes and styles. Stephen’s voice features on about 150 CDs of works by the Baroque masters; by Mozart, Haydn and Beethoven; by later British composers such as Gurney, Finzi, Britten, Osborne, Musgrave and Tavener; and on the Chandos complete works of Percy Grainger. With Graham Johnson and Hyperion Records he has recorded several recital discs by Hahn, Chabrier, Fauré and Schubert. He completed a PhD at the University of York in 2009, and he writes and lectures on various aspects of singing, especially English song. He teaches at the Royal College of Music. Stephen comes to Melbourne in July to share his expertise with aspiring young Australian art song performers in a series of daily masterclasses. You too can share in this experience, and support young artists of the future, observing them in action in the beautiful surrounds of Melba Hall. Inspired by The Songmakers’ Almanac, the ground-breaking British ensemble founded by artistic patron Graham Johnson, Songmakers Australia is unique in the musical landscape of Australia in bringing together the country’s leading performers of chamber music to present uplifting programs of song repertoire. The Melbourne International Festival of Lieder and Art Song is delighted to present some of their number - pianist Andrea Katz, soprano Merlyn Quaife, and bass-baritone Nicholas Dinopoulos - in a delightful concert of Schumann, Wolf and Dvořák Lieder. The concert will take place in the lunch hour between two Festival masterclasses on Wednesday 11 July, 1:30-2:10PM in Melba Hall, Parkville. Admission is free. After a week of inspiring masterclasses in art song performance with international stars of the artform, Graham Johnson and Stephen Varcoe, the lucky and talented young participants of the Melbourne International Festival of Lieder and Art Song will have the opportunity to strut their stuff on the stage of Melba Hall. Join our aspiring young singers and pianists in an evening of beautiful words and music, as the uplifting experiences of the Festival are brought to fruition in performance. The MIFLAS Gala Concert represents the culmination of a week of masterclasses with two of the finest exponents of art song recital: world-class accompanist Dr Graham Johnson and international baritone Stephen Varcoe. 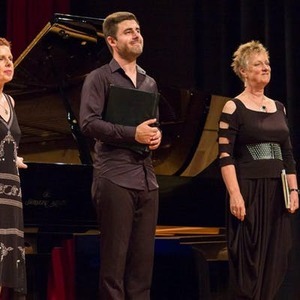 A select group of Melbourne International Festival of Lieder and Art Song participants will have the once-in-a-lifetime opportunity to share the concert platform with these two great artists, having been mentored by them in an intense and inspiring five days of music-making and learning. Graham Johnson will host the concert, guiding the audience on a journey through the story of art song. Stephen Varcoe will also join the proceedings, leading the way for our aspiring young artists of the future. Individual event tickets and single-day passes can be purchased via the event tiles above. 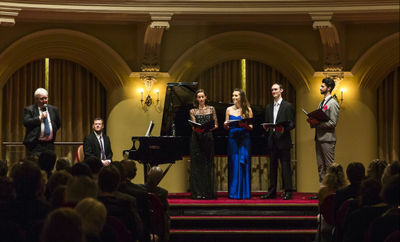 Help us connect the Melbourne International Festival of Lieder and Art Song (MIFLAS) with our brightest future. For MIFLAS, your gift will secure the future of the festival. Your shared vision will help us continue to connect international opportunity with our next generations of lieder and art song. 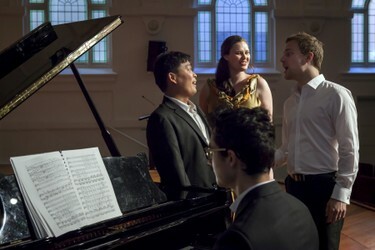 MIFLAS is a truly unique opportunity that nurtures our future generations of Lieder and art song through world-class masterclass, performance, personal development and artistic advancement opportunities. Ensure MIFLAS can continue to bring global artists and educational opportunities to the shores of Australia. 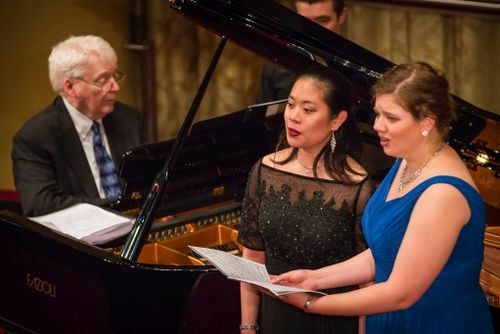 Enable an aspiring singer or pianist to participate in MIFLAS, connecting global opportunities with our next generations of lieder and art song. 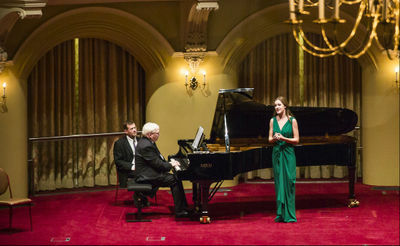 Help us continue to bring global leaders in the education and performance field of lieder and art song to Australia, connecting our talent with international opportunity. For information about the Melbourne International Festival of Lieder and Art Song, please get in touch.